Today kicks off our second Design Week and this time it’s all about the exterior of the Dreamhouse. When we left off last time, we revealed the conceptual elevation drawings & first colour renderings of the exterior. Of course drawings are easy. The hard part is bringing the drawings to life to achieve the look we want within budget. 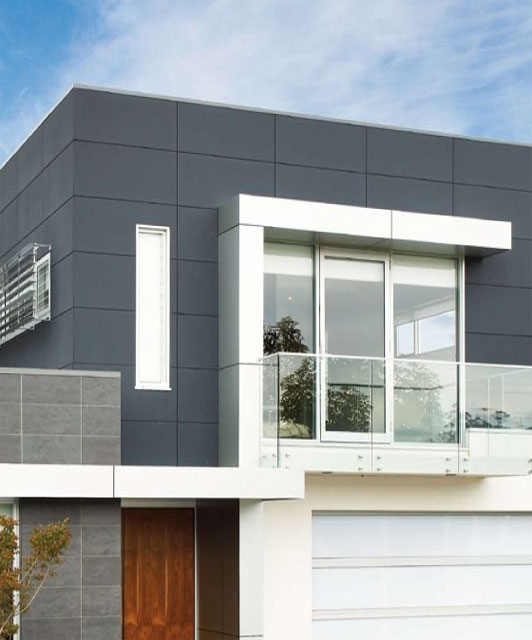 Going back to our look book, it was pretty clear to us that the we’re drawn to houses that step outside the bounds of typical “builder beige” brick & aluminum siding. 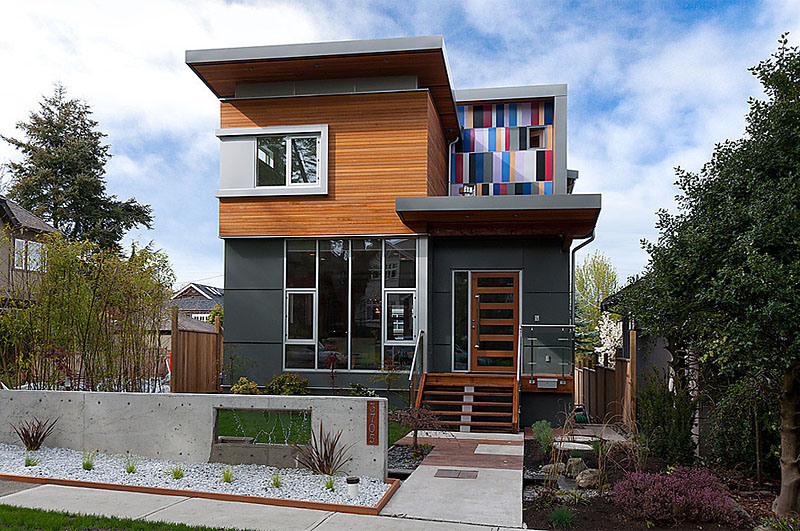 That’s not to say that there aren’t some beautiful homes built using those materials, but with our love for the modern aesthetic, we knew we’d be looking to use materials that lend themselves less to the traditional. 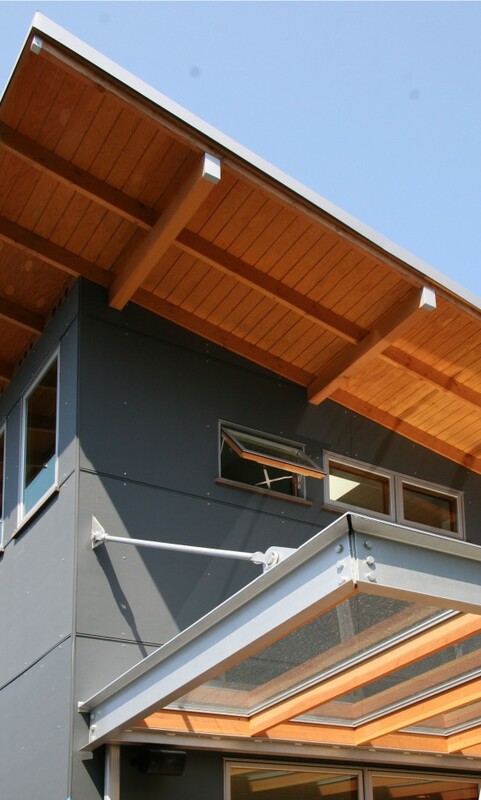 We absolutely love the modern sleek look of composite or fibre-cement panels mixed with cedar siding. So we had the look. We knew what we wanted. The challenge now was to find the right materials available in our market & climate to bring it all together AND to do so within budget. Wow! Love your inspiration photos. 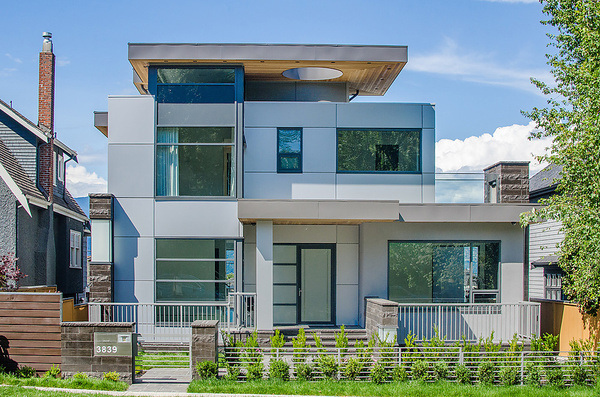 So sleek and modern. How very exciting!!! Thanks Amy! We really love the sleek, modern look. Hoping to be able to achieve that for the Dreamhouse.